This episode? 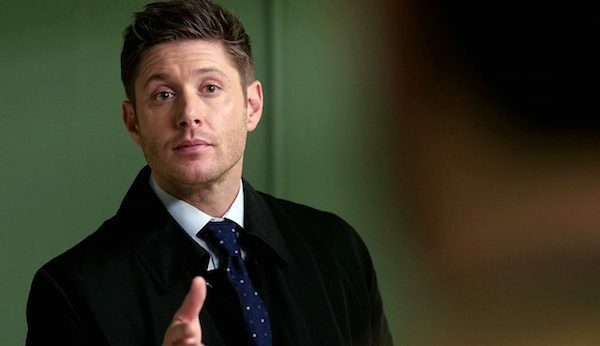 Should have been called “Dean’s 1000% Done”. 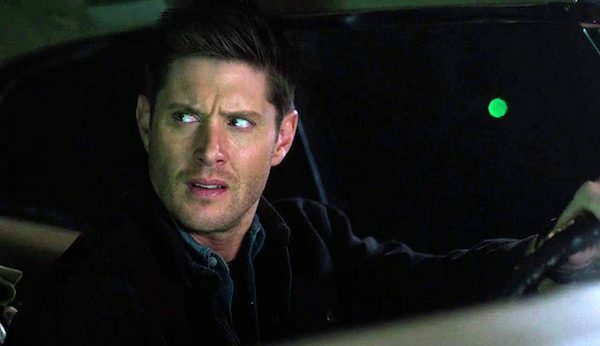 Jensen Ackles gave particularly good face in this episode, where Mick Davies becomes the babysat on a werewolf hunt and the boys reunite with the chip on Claire Novak’s shoulder. Don’t keep the boys waiting, man! Dean is more than a little miffed that Mick is late for the meeting about the latest bat signal from the British Men of Letters. Turns out it’s a milk run—a simple werewolf case that the boys could handle in their sleep. Sam thinks Mick and his mondo collection of lore has some “cool” factor. Dean? Does. Not. Even. And when Mick decides to tag along? 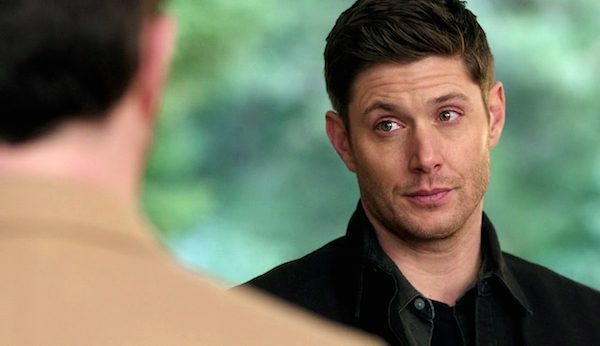 Thus begins our hour-long journey into the done-ness of Dean Winchester. At the hospital, the boys Fed-suit-up and visit the survivor of the red shirt opening, a teen girl named Hayden whose brother’s heart was eaten but, other than some surface wounds, seems to have been spared. Agents McVie and Fleetwood get nowhere with her mom, but then Mick appears as Doctor Buckingham (nice touch) and gets to examine the girl. (Did I mention Dean is done with him? ‘Cause he is. Again.) While the boys find out from the Mom that a suspiciously youthful Fish and Wildlife employee has preceded them, Mick sees that, in fact, Hayden has been bitten. And unlike Mr. Ketch ever did, he looks saddened, even as he lies to the boys about it. It does indeed! Claire Novak (aka: Beatrice Quimby) is called by an amusingly prankish Dean, and they meet up. She and her sassy mouth have been hunting—solo—a fact the boys do not take lightly. 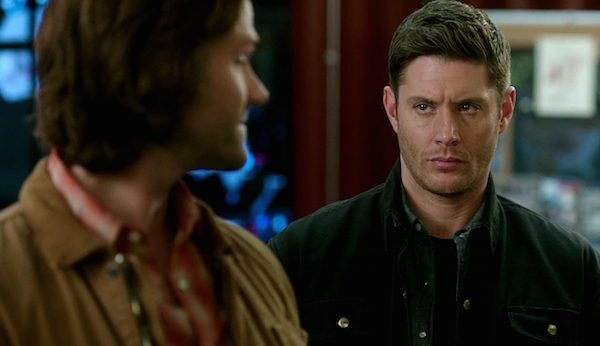 I actually found this bit amusing and endearing, seeing her cockiness mirroring that of a young Dean and swooning a little when he got angry after hearing some douche with a tribal tat got grabby with her. I love it when Dean is protective. Don’t you? While Claire eats her fill on the BMoL’s dime (pence?) Mick sneaks back to the hospital to take care of Hayden, and by that I mean inject her with silver nitrate to put her down, and he barely succeeds. 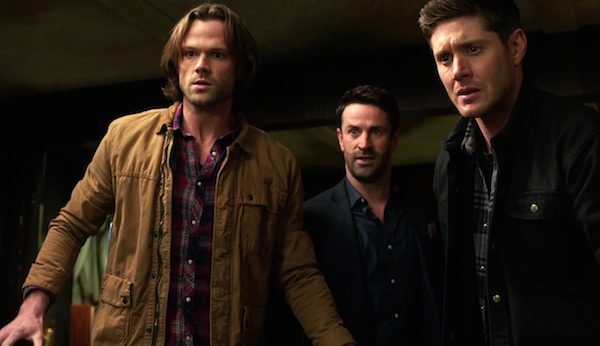 The next day, the boys gather around Hayden’s body and it becomes clear that Mick “made a mistake” in supposedly not seeing her bite, which cheeses Dean off to no end. They figure out that something wanted Hayden to turn, not become supper. The question is: why? Claire and Sam visit the high school Hayden attended and, while she is investigating possible wolfy leads, Sam calls Jody, who thinks Claire is checking out colleges. Sam confronts her about it, and Claire, still riding high from her investigative success, is grateful Sam didn’t rat her out. She tells Sam that Jody never lets her do anything during hunts, that she wants her to be normal, so Claire snuck out on her own. She demands Sam stop treating her like a stupid kid. Sam tells her to stop acting like one. And Claire stalks off, like a stupid kid, to her doom. Dean and Mick go to the bar where the tribal tatted dude, Connor, works to find out more about Hayden. 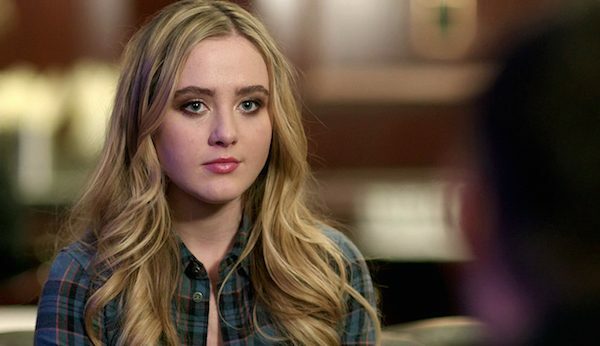 Turns out Connor isn’t just a douche—he’s a jailbaiting groper (And again, Dean defending Claire’s honor? Swoon.). While questioning Connor, Dean uses Mick as an example, and it turns out Mick is the worst liar in the history of mankind. 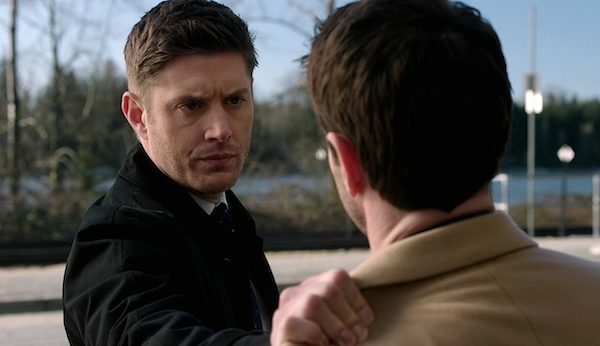 Dean confronts him and they get into it about the killing of Hayden. Dean sees it as a choice—it’s not a simple thing. He brings up the psychic child he and Sam spared as an example of mercy, not realizing that the BMoL had her killed all along. To Mick’s credit, as he listens to Dean berate him, he manages again to look even more remorseful than scared. Claire is bitten by the same wolf who attacked Hayden, and it looks like she, too, is left to turn. 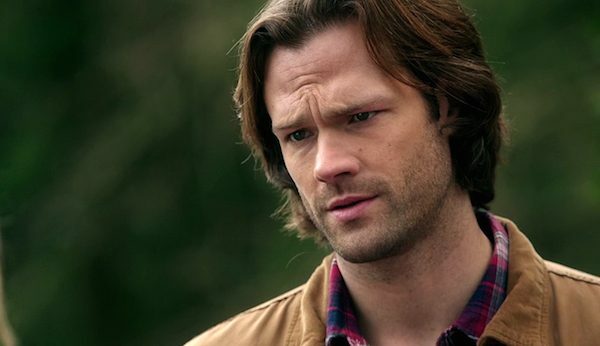 Mick tries to advise them but is totally rebuffed by Sam, who now knows Mick killed a kid. 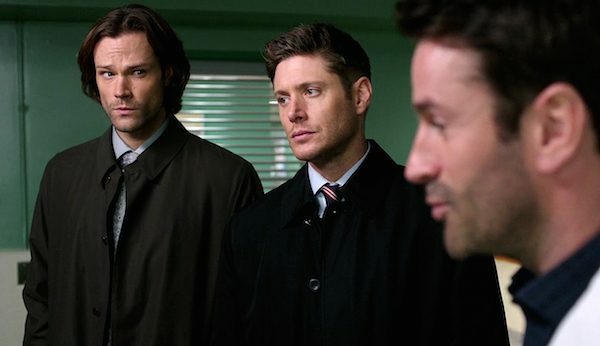 (Finally, Sam and Dean in done alignment!) Sam wants to use the BMoL lore to reverse the early stages of lycanthropy as they did in mice (and one unfortunate human who died in agony.) Dean doesn’t want to risk it and tells Claire she doesn’t get a vote. “It’s my life,” says Claire. “I get all the votes.” The boys race off to find the sire wolf, leaving Mick to watch Claire. And Mick, being smart, knows that if anything untoward happens to Claire? He’ll be on the wrong side of Dean’s gun. Claire asks Mick to kill her, and Mick says his instinct is to do that, but admits his instincts haven’t been so grand of late. He offers to restrain her and sedate her for safety, but before he can do anything the non-tribal tatted bartender breaks in and steals Claire away. Fortunately, Mick bugged her, so they all race off to find her. Turns out that Hayden and Claire were never meant to be eaten at all—the bartender wanted to turn her to start a new pack since the BMoL killed off his old one. The boys break in and the fight begins, with the boys having to stop both the bartender and a newly turning Claire. Fortunately, Mick kills the bartender and draws his blood, and the boys manage to keep Claire at bay (get it?) long enough to save her life and, after some touchy moments of near despair, turn her human once more. And victory is theirs. The next day, the boys tell Mick in no uncertain terms that while they are grateful for the win and they are willing to give him a second chance not to mess it up, because there will not be a third. The boys bid Claire adieu, after some hugs and promises that they have her back. And she calls Jody, confessing her new solo trade, thanking her for being her mother. She tells Jody that she loves her and Alex and drives off to the strains of “Real Wild Child”, onto her next adventure. So has Mick got hunting out of his system or will he need to team up again? Maybe we’ll find out in episode seventeen, “The British Invasion.” See you then! 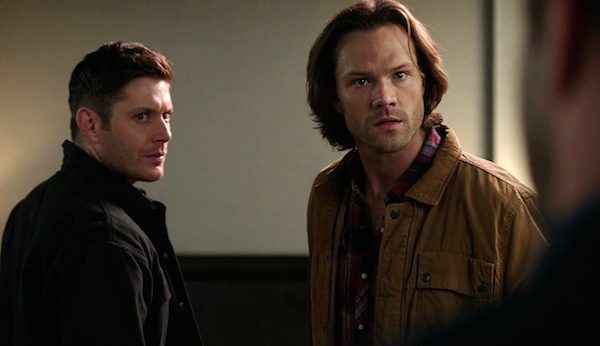 10 Great Moments from Supernatural Season 11, Episode 16: "Safe House"